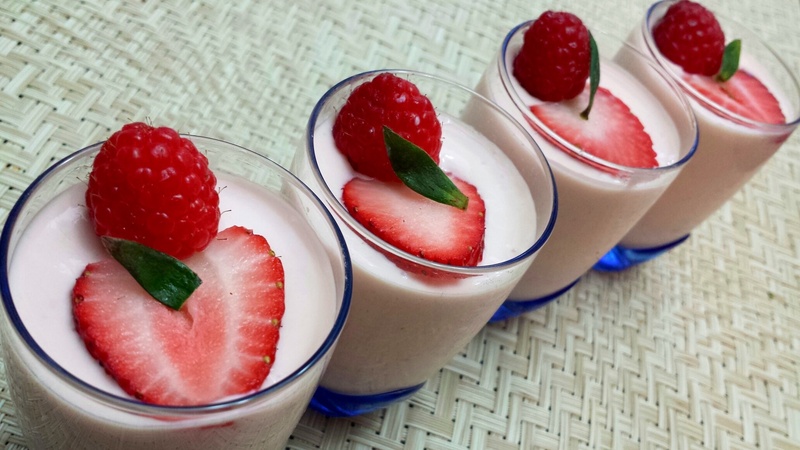 Tangy Strawberry mousse…..yes you can have this even though you are fasting…using mom’s delicious all vegetarian recipe! She used this recipe with fresh mangoes too, that tastes even more delicious! Method: Hang yoghurt in a muslin cloth overnight inside the refrigerator. 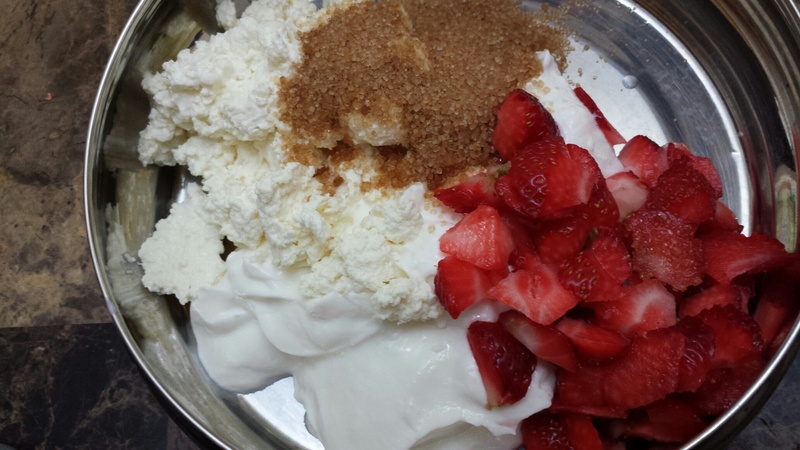 Alternatively you can also use Greek yoghurt. Next day take 1 cup of the hung yogurt, 1/2 cup fresh paneer and 1 cup chopped strawberries and blend smooth in a blender/mixie. Taste the mix, add sugar as needed and process again to mix in the sugar. Pour out into serving bowls. Chill for 3-4 hours. 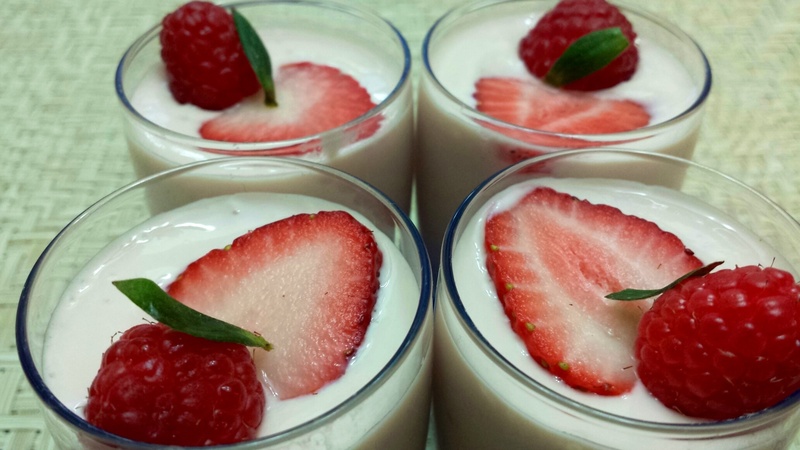 Serve topped with fresh berries.